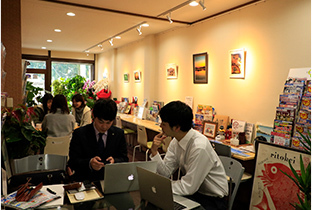 Today, Iki has developed its tourism industry, as a resort area close to Kyushu. 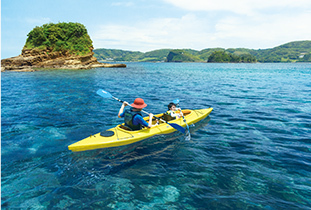 Among people in Japan, as well, Iki has garnered attention and popularity as the perfect destination for occasions like family vacations, with attractions including water sports and hot springs. When it comes to special attractions, Iki offers local cuisine, with ingredients from around the islands. Talented chefs here prepare meals with the use of the freshly harvested ingredients that grace the islands. Won't you add a trip to Iki, and the experience of its uniquely Japanese spirit of hospitality, to the pages of your memories? To those who are considering visiting Japan: We know the big city of Tokyo and the ancient capital of Kyoto are popular, too, but what would you say to a trip that will give you a more personal experience of Japan? 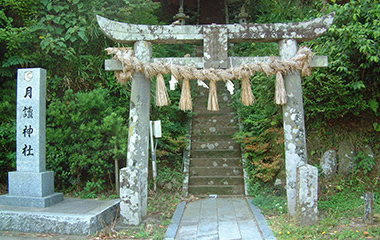 The trip that makes that possible is a trip to Iki, in Nagasaki Prefecture. For many people, this might even be the first time hearing about a place called Iki. 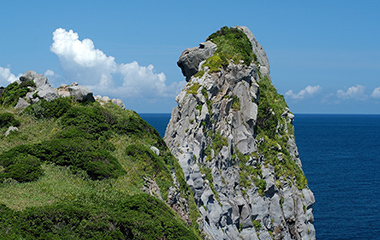 Iki is an island not far from the mainland of Nagasaki Prefecture and Fukuoka Prefecture in the north of Kyushu, which itself is an island in the south of Japan. As a stopover through which continental culture from China and the Korean peninsula was spread to Japan, Iki is a place that has seen many people come and go since ancient times. It has long prospered as the "Island of Hospitality." 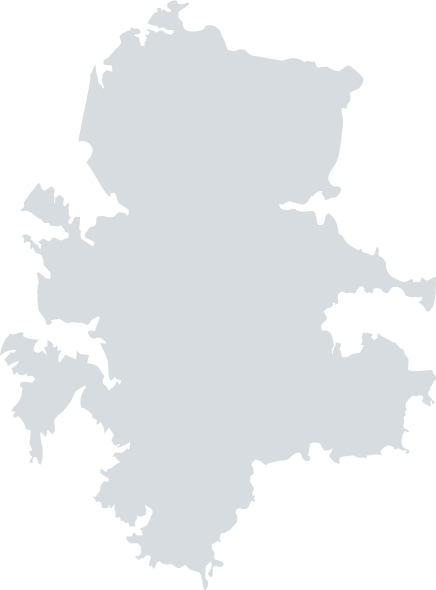 Iki is located at the intersection of the Kuroshio and Oyashio ocean currents. It is known as a great fishing area, with an abundance of plankton. 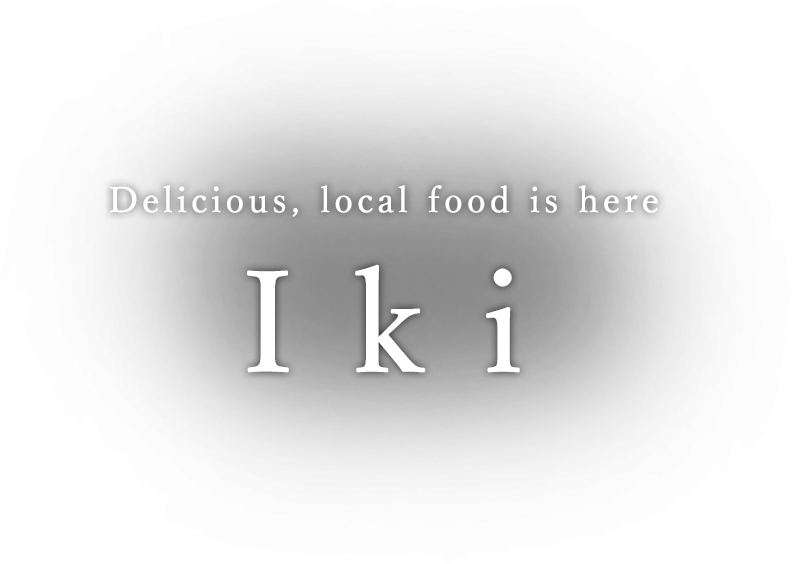 The cuisine made with firm, freshly-caught fish is a source of pride in Iki. 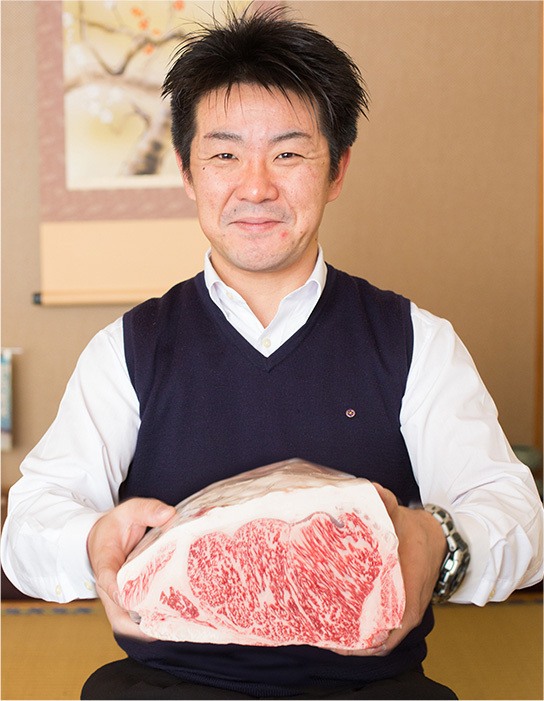 Iki beef is tender and high in quality, with great marbling. The cattle are raised without placing stress on the environment, while the salty sea breezes that are characteristic of the island add a moderate amount of salt to the grass upon which the cattle feed, making them healthy. 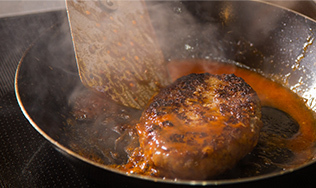 It's worth visiting just to experience the tender texture and rich flavor of Iki beef. Much of the land in Iki is flat, making for an environment that is well-suited to farming. A variety of produce can be raised here, from vegetables to rice. 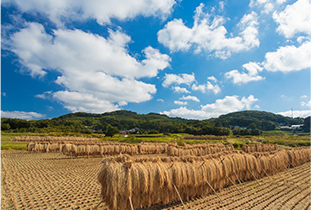 Nikomaru, a rice brand from Iki, is the recipient of five consecutive "Special A" ratings from the Japan Grain Inspection Association, starting in 2008. 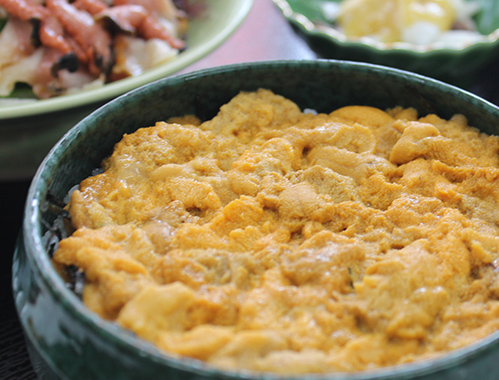 Nikomaru has achieved popularity as the highest-quality rice on the island. you just have to try before you leave. will delight the taste buds of all who visit. we recommend taking a side trip to the island of Iki. 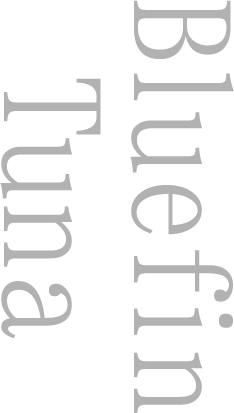 When it comes to bluefin tuna, Iki stands next to the town of Oma, which is in eastern Japan. In Iki, the flavor is top-notch, thanks to the care put into the process, including fishing with a pole and deblooding. The belly (toro) cut has just the right amount of marbling, providing a mellow flavor. Just one taste, and you will never forget this top-quality bluefin tuna. View Hotel Iki entertains visitors before the meal, such as with a demonstration of a tuna being made into different cuts. 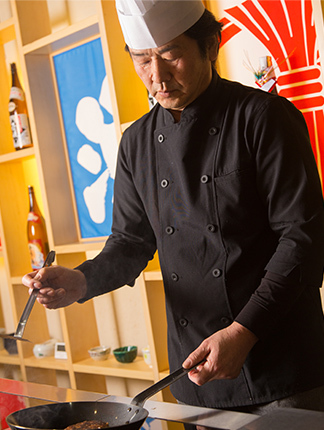 Head chef Yoshida also serves as manager, which illustrates View Hotel Iki's commitment to being a hotel with an exhaustive focus on food. Here you can fully enjoy dishes with fresh seafood, including tuna. 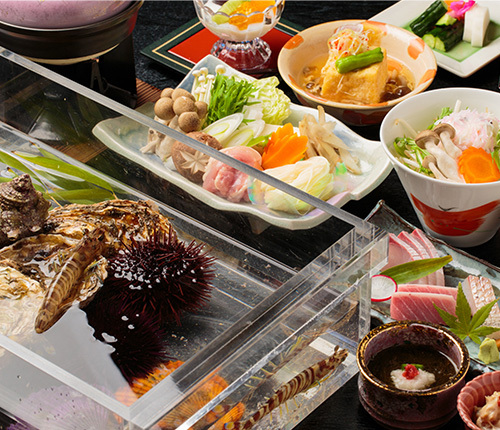 he hotel also offers full-course meals with Iki beef, including the Plank Plan, a meal served on a wooden plank, featuring a variety of fresh fish that will also dazzle you with their colors. 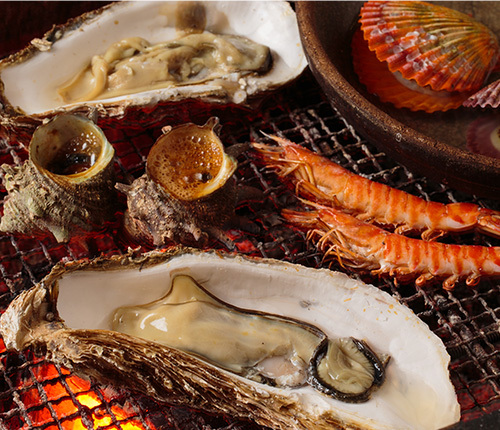 The much-loved "Iso Asobi" ("shellfish gathering") conjures an image of gathering shellfish on the seashore as you gaze upon the ingredients in a crystal case. The ingredients are grilled over a charcoal fire in a sunken hearth just before you eat them, delighting your eyes and taste buds alike. The Kuroshio and Oyashio currents collide in the area around Iki. 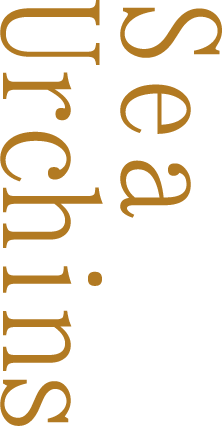 This means that the quality of the seaweed, which feeds the sea urchins, is high. As a result, delicious sea urchins that are full of nutritional value are raised in the Iki area. The red sea urchins grow to be especially large, and are a top-quality product you can't eat anywhere but this island. Saw-edged perch, the "Great Phantom Fish of the Genkai Sea," and swordtip squid, "the King of Squid," are dipped fleetingly in a special soup stock made with fresh sea urchins from Iki. What would you say to a lunch that's just a bit luxurious at the only teppan (iron griddle) restaurant in Iki? The savory flavor and juice of the meat here flow delightfully in the mouth. Domestic beef Hamburg steak, \1,944 (including tax). 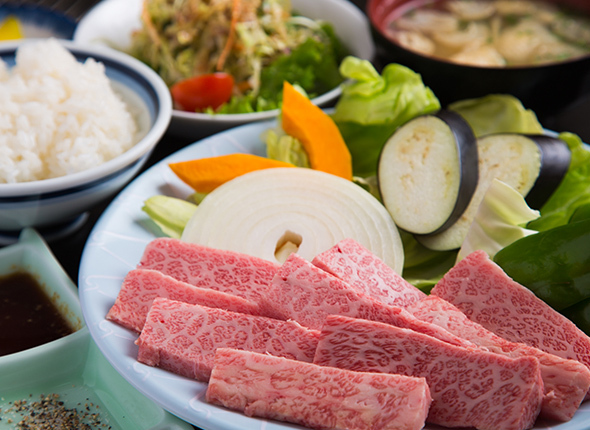 As Ajidokoro Umeshima is operated directly by ranchers that produce it, the restaurant is able to offer high-quality Iki beef at a great price.Single cuts of meat large enough to cover the entire iron griddle are substantial and satisfying. 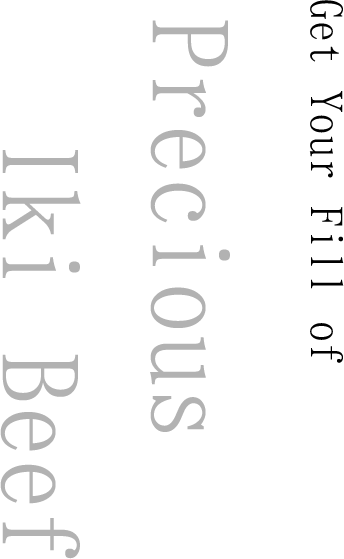 To make an island memory of your trip to Iki, please be sure to experience a taste that only this very place can provide. Sirloin steak meal, \3,980 (including tax). The long-standing lunch staple at Umeshima. 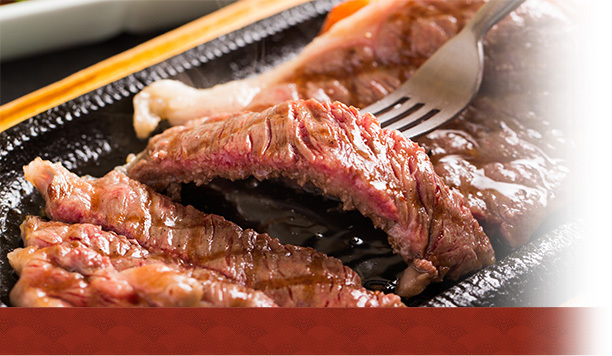 You can enjoy grilled, top-quality galbi (Korean-style ribs), which represent Iki beef at its most flavorful. Galbi set meal, \2,300 (including tax). a meal is the real thrill of any trip, don't you think? in between sightseeing and recreation. As you gorge on thick, juicy pork cutlets, the flavor of the simmered broth gradually fills your mouth. The hosts' smiles are also part of the fun. Served with just the seasoning and an egg. 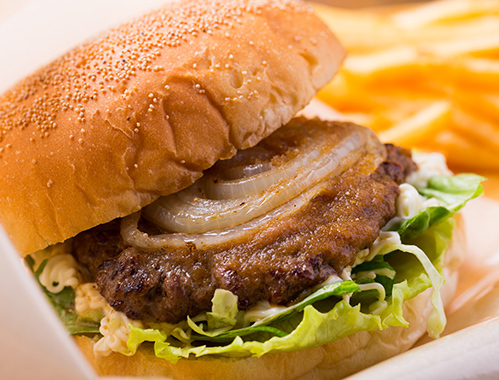 Scarf down a hamburger with 100% treasured Iki beef! This is a cafe where you can feel the relaxed rhythm of the island. 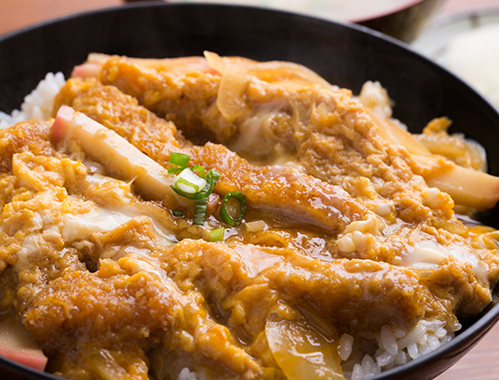 20 sea urchins are piled high atop rice in this gourmet rice bowl, an Iki standout. This lovingly-prepared dish does not use preserved sea urchins. 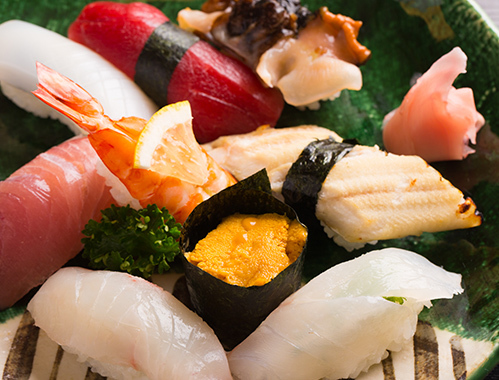 When you want to eat delicious seafood in Iki, it's got to be this hand-formed sushi, which presents the flavors of its ingredients in their true form. How did Iki, a solitary island in the Genkai Sea, come to be a capital of food culture?The reason can be found in some of the best environmental conditions in Japan, nature untouched since ancient times.The water that gushes forth throughout the mountain forests here is used to grow rice and vegetables, and to raise livestock.In the coastal waters where currents crash in, there are many fish with bodies that have grown firm from the strong currents. The coastal waters off of Iki are also where the Kuroshio and Oyashio currents meet, which means that plankton, which fish eat, gather here in abundance. The rough waves and tides here also give rise to firm-fleshed fish, making for a very bountiful fishing area.Even today, these natural forms, unchanged since ancient times, provide a wealth of culinary blessings. 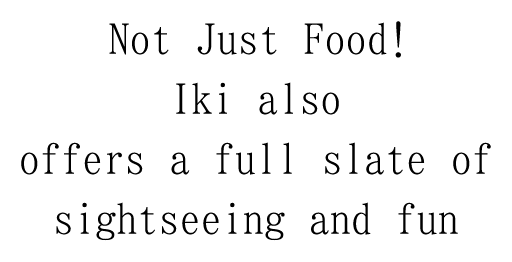 Food isn't Iki's only special quality. Another reason to take a trip to Iki is that you can get your fill of sightseeing and recreation. 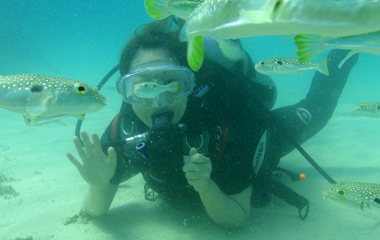 In the clear waters here, you can enjoy swimming and marine sports including scuba diving, as well as the uniquely Japanese charm of hot springs. Iki also has many other fun spots, including views that weave together a wide range of natural beauty.